But many people in today’s secular society are skeptical. By using material from Dr. Gary Habermas’s “Minimal Facts” argument, you can make a case that almost anyone will accept. Here are five historical facts selected from a longer list of Dr. Habermas’s “Minimal Facts” argument … and a brief summary of the skeptical support for those facts. 1. Jesus died by crucifixion. Have you ever seen “The Passion of the Christ?” The crucifixion was horrific to watch but the brutality was based on historical evidence. Roman soldiers were professional executioners. Christian and non-Christian sources like Josephus, Tacitus and the Jewish Talmud agree that Christ was crucified. We have more evidence for the life, death and resurrection of Jesus than Julius Caesar, Socrates or Plato. If you deny Jesus’s crucifixion, you have to throw out all of ancient history. But what do skeptics say about the crucifixion? Bart Ehrman, the skeptic, cites eleven independent sources for the crucifixion of Jesus. Paul Maiers, Professor of Ancient History at Western Michigan University, says that most ancient history relies on only one or two sources. Skeptical scholars who publish in the area of the resurrection agree that Jesus died by crucifixion. 2. The disciples “believed” Jesus had risen and appeared to them. The men’s lives were transformed. They went from fisherman who were secluded in an upper room to bold proclaimers of the resurrection of Christ. The disciples were willing to die for the gospel of the resurrected Christ. Most were martyred. Eyewitnesses don’t prove something is true but eyewitness testimony is among the best type of evidence. Finally, there is no evidence that any of the disciples changed their testimony in the face of martyrdom. So what do the skeptics say about the disciples testimony? Bart Ehrman says of Galatians 1 and 2, the chapters where Paul went to Jerusalem to visit Peter: how much better eye witness testimony can we get? Peter and Paul together. They were in the right place and the right time and Paul was a scholar. Skeptical scholars who publish on the resurrection agree that the disciples believed Jesus had risen and appeared to them. 3. James, the brother of Jesus, converted to Christianity. James was skeptical of Jesus claims to be God. In Mark 3:21, James and his family claimed, “He is out of his mind.” After the resurrection, Paul became a leader of the early church. What is the best explanation? James had a life changing event: an encounter with the resurrected Jesus. 4. Paul, a persecutor of Christians, converted to Christianity. At one point, Paul held the coats of the men who killed Stephen, an early Christian. But after an encounter with the resurrected Jesus, he became a bold proclaimer of Christianity. What is the best explanation? Paul had a Damascus Road experience that was a life changing event. So what do historians think about the conversion of Paul and James? Historians agree that these converts add to the credibility of historic Christianity. 5. The tomb was empty. Almost two thirds of theologians, historians, and scholars who publish in the area of the resurrection believe that the tomb was empty. Skeptics have to answer the question: If the tomb was not empty, why didn’t the authorities just produce the body? Bart Ehrman dates the creedal statement contained in 1 Corinthians 15 to within one to two years of the actual event. You are familiar with “Jack and Jill went up the hill.” It is easy to memorize. Here is the early Christian’s creed from 1 Corinthians: “Christ died for our sins in accordance with the Scriptures, that he was buried, that he was raised on the third day in accordance with the Scriptures, and that he appeared to Cephas, then to the twelve. Then he appeared to more than five hundred brothers at one time…” This creedal statement was passed down from believer-to- believer during the earliest years of Christendom. Skeptics don’t agree that the resurrection happened. But even skeptical scholars agree that the creedal statements about the resurrection can be dated within a few years of the resurrection. The disciples “believed” Jesus had risen and appeared to them. James, the brother of Jesus, converted to Christianity. Paul, a persecutor of Christians, converted to Christianity. The tomb was empty according to two thirds of theologians, historians, and scholars who publish in the area of the resurrection. By using this minimal facts argument from Dr. Gary Habermas, you can help most people see that the resurrection of Jesus Christ is the best explanation for the historic facts. 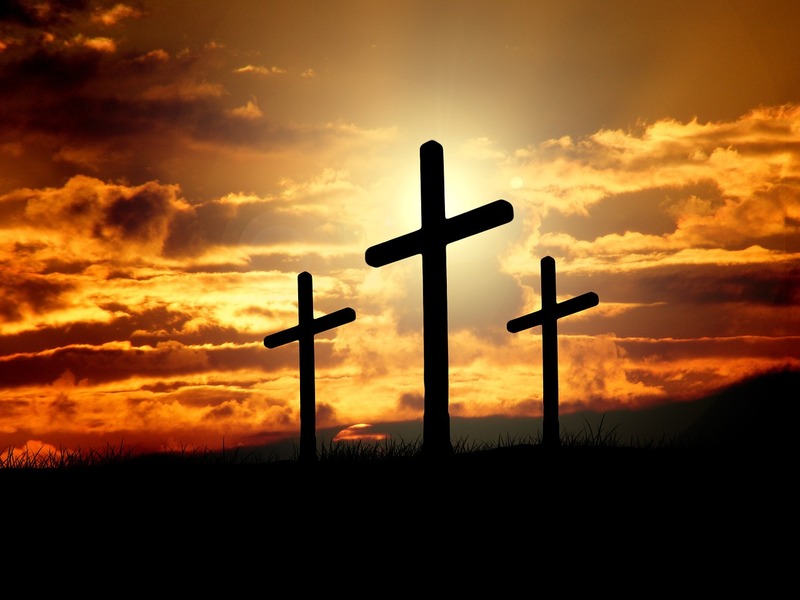 Bart Ehrman, a skeptic of Christianity, believes Jesus died on cross. He also accepts that “the disciples believed” Jesus was risen. He considers the Pauline epistles authentic and dates the critical 1 Corinthians 15 creedal argument within 1-2 years after the cross. “The Case for the Resurrection of Jesus”, Gary Habermas and Michael Licona, Kregal Publications, 2004.